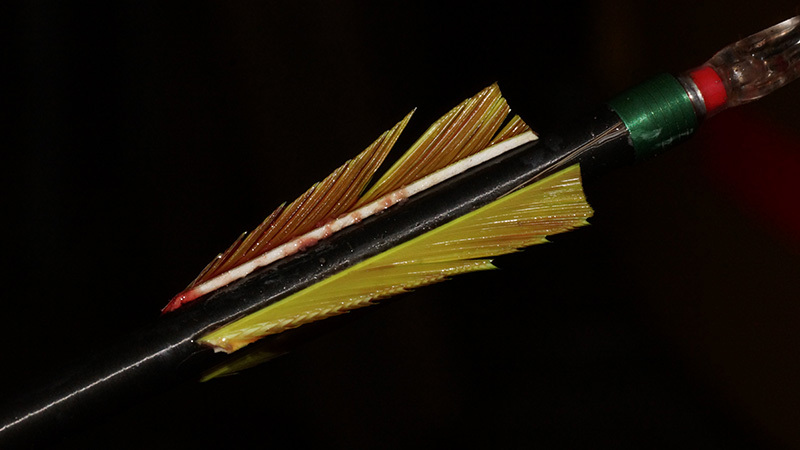 The below photo was taken 8 yards from the impact location and continues this way for the next 30 yards. Reviewing the video you are obviously concerned. 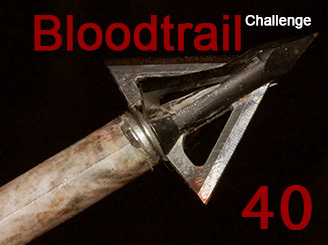 You wait 30 minutes and then climb down to inspect the arrow and walk the first few yards of the bloodtrail. Initial signs appear to be positive. There is a chance of rain in the forecast starting in the next 90 minutes - and the shot appears to be a one-lung hit. 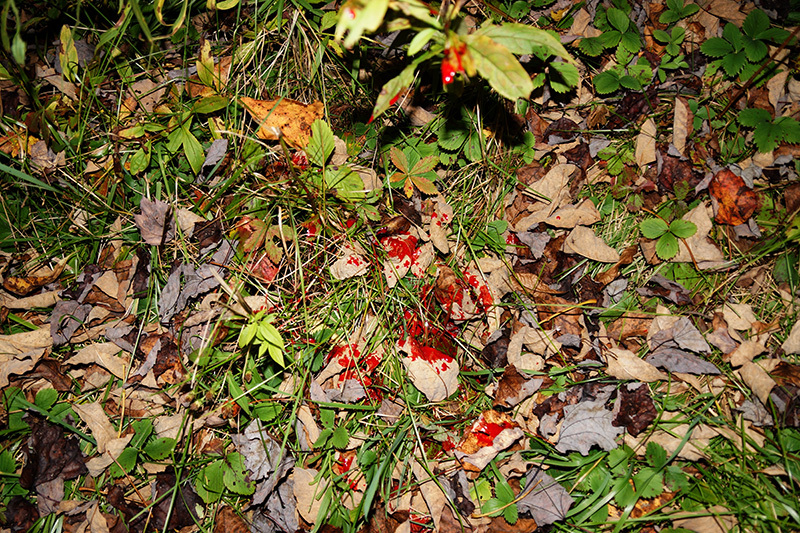 Good news; it's a clean pass through and blood sign appears to be excellent. 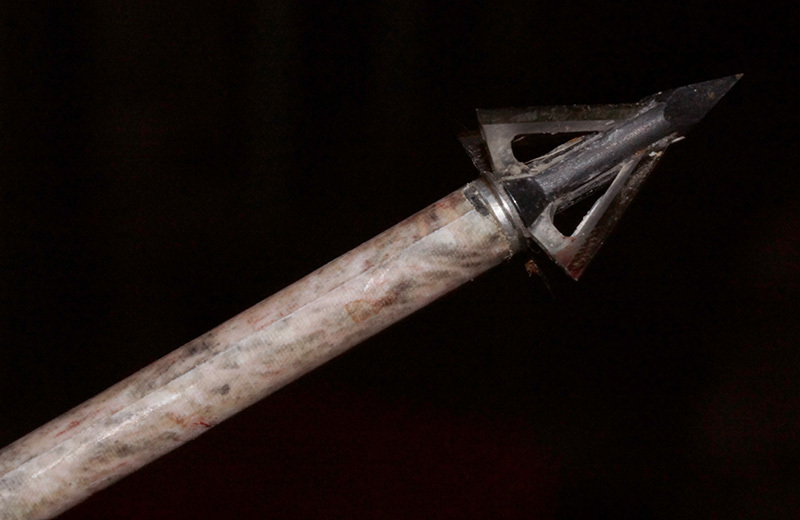 You are using a Slick Trick Standard, 4-blade broadhead that is razor sharp. Answer the next question.